Congratulations to our 2018 High School Educator of the Year, Kristian White! For the past five years, Kristian White has taught at the Young Women’s Leadership Charter School of Chicago, the only all-girls STEM charter school in Chicago for grades 9 through 12. It is here that Ms. White has developed a positive relationship with her students by taking the time to get to know them on a more personal level. This enables her to acknowledge milestones that happen in their lives while sharing in their joy. As a result, students trust and respect her causing them to work harder in the classroom which yields better results. Another method Ms. White implements is the use of instructional groups which helps her students have one on one conversations while allowing them to freely share their thoughts and opinions with her. This allows students to develop their thought processes while enhancing their abilities inside and outside the classroom. Ms. White also holds office hours on a daily basis to offer students extra support outside of the traditional classroom. Ms. White’s influence goes far beyond the classroom. She is very influential in her community where she has been a member at Resurrection Church of Chicago for 30 years. During this time, she has been involved in several different ministries: serving as a Sunday school teacher, choir president, altar guild, and former Women’s Ministry president. Additionally she has partnerships with the Congo Square Theater and the Voices and Faces Project. On top of all her community involvement she is a working mother with one son, age 15, and two daughters, ages 12 and 10. It is for all these reasons that Kristian White is an outstanding example of what it means to be a leader in the classroom and in her community. 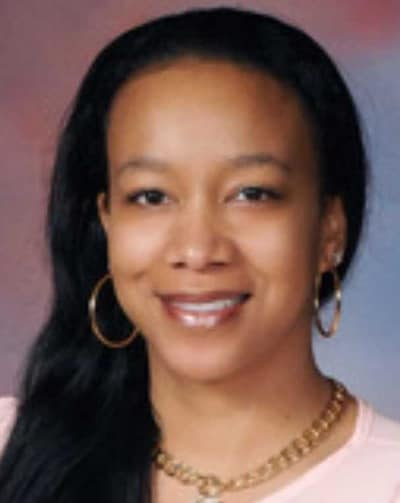 Ronette is a multidisciplinary special education teacher with District #227 teaching at Rich East High School. She has been a special education teacher for 12 years and has been nominated for a Golden Apple Award as a teacher leader. 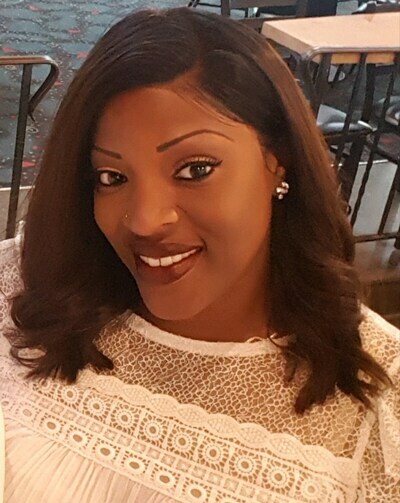 Through her experience and education, Ronette possesses the rare ability to design General Education curriculum to meet the unique needs of all her students so that any mind can learn. Ronette has also been the head coach of the Poms squad at Rich East High School for four and a half years. Through her leadership, she has an incredible 100% graduation rate for all of her Poms participants and has guided her team to winning 6th at sectionals in addition to being voted best team in District #227. Her work with the Poms team even caught the eye of the Park Forest Hurricanes dance team who asked her to choreograph a routine for their performance at a Chicago Sky game in 2016. Perhaps her proudest achievement though is being a mother of an 8-year-old daughter and 6-year-old son, who are both equally active in extracurricular activities. Through Ronette’s work and her commitment she has not only impacted the students around her, but also her surrounding community. For the past four years, Rebecca Orr has taught Media and English to the diverse student body at DePaul College Prep. In addition to teaching she is also the head coach of speech and debate where she even leads the annual service-learning trip for students. This past year, Rebecca has successfully launched a student journalism program that provides students the opportunity to have a voice in their school and in their communities. 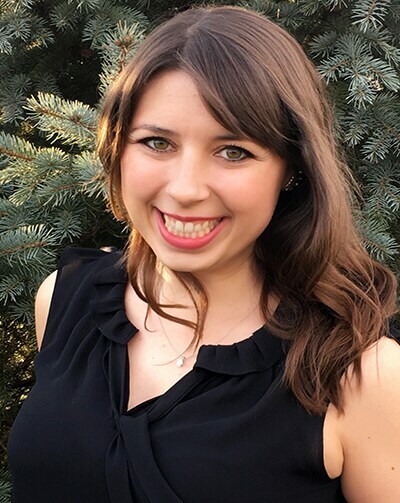 Rebecca has also become a teacher leader and facilitator supporting other teachers across Chicago to develop ways to teach students news literacy, journalism, and how to evaluate fake news. Rebecca’s impact goes beyond just the local Chicagoland area too. Prior to joining DePaul College Prep, she spent a year in Singapore teaching at the Ngee Ann Polytechnic School of Film and Media studies and has even brought a group of high school students to a rural Guatemalan community to install stoves. All in all, Rebecca brings a strong sense of social justice and desire to empower students to help others within their communities. She is always willing to go the extra mile for her students and inspires others to follow her enthusiasm and excitement for student learning. 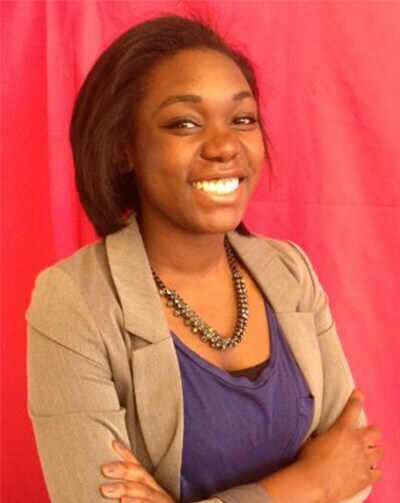 Jasmine Gilstrap is a math teacher at Baker College Prep, located in the south side of Chicago. It is there that Jasmine takes on the noble challenge of improving a student body ranked in the bottom 15% nationally in math. In Jasmine’s class, her students are very eager to improve as she teaches her course with great enthusiasm along with high expectations and incredible rigor. Her mentality is one that rubs off on her students, and this creates a student centered and discussion-based environment. Within this environment, students find themselves helping each other through math problems and working together to correctly understand various mathematical concepts. Outside of being an incredible math teacher, Jasmine leads a peer-to-peer mentoring program, called Pride, which is designed to train and develop upperclassmen to be mentors to underclassmen. Prior to teaching at Baker, Jasmine also served as an AmeriCorp Teaching Fellow with Citizen Schools Illinois, working after school in two south side schools where she led students through hands-on projects sponsored by different Chicago businesses. 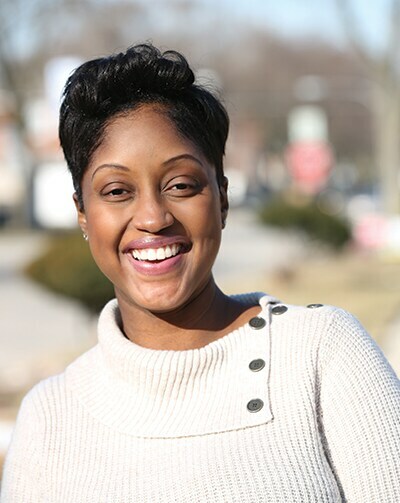 Jennifer Ollie currently serves as the STEM Project Manager at Chicago Vocational Career Academy where she consistently embodies what it means to be a leader, visionary, community organizer, creative thinker, and intellectual. Her educational background includes a Masters in Clinical and Mental Health as well as her LPC and NCC certifications. With this outstanding educational background, Jennifer continually uses her skills within CPS to define educational objectives and implement strategic planning. This includes focusing on areas of inclusion, access, and student development. With this in mind, she advises high school students on the importance of making imperative decisions regarding their educational and professional goals with a focus on STEM programming, college and corporation integration, and diversity. Many of the students she works with keep in touch with her after graduation to provide updates on their post-secondary accomplishments and how her guidance impacted them positively. One of the many organizations she works with is After School Matters where she provides additional career readiness and intensive STEM programming for teens. This is all part of her dedication to providing stimulating, innovative and productive educational learning activities during in and out-of-school time. In addition to increasing opportunities for students to be exposed and receive hands-on experiences with professionals in the STEM field, she has also expanded the dual enrollment and credit programs. It is for these reasons, and more, that Jennifer Ollie truly defines what it means to be a difference-maker in the educational system and within her community! After only 1 year in the classroom serving Chicago Public Schools and the young people in attendance, Jason Ware continues to shine at Austin College & Career Academy! While many educators do not last during their first few months of their opening year of teaching, Jason is cut from a different cloth. 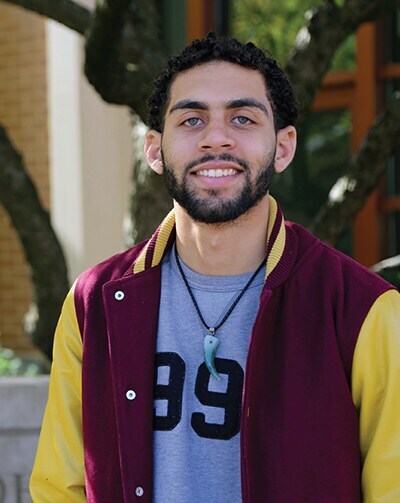 He came to Austin College & Career Academy with his own experience as a young man navigating the complex waters of race and justice in America. He came to the classroom with experience as a violence prevention specialist, but more importantly he came with the approach that saw his students for their “now” worth, not just the worth of who they could become. When he entered his first year as an educator, he wanted to teach history, but was thrown a curve right away teaching a chemistry class for diverse learners. This did not deter him as he embraced the opportunity with open enthusiasm. To walk into his classroom today, you would think he was always in love with chemistry. It is a Science-lover’s paradise with super nova artwork and elements of the periodic table showcased in their various forms. Just walking into his room makes students want to learn, grow, and to be better. Additionally, Jason is a thoughtful and reflective educator always aiming to be better at his craft despite already surpassing many of his veteran colleagues. He is always asking other teachers for their advice, seeking out wisdom, and filling whiteboards full of ideas of what to teach the students for the upcoming week in a way that makes sense for them. He truly cares for his students where he sees and listens, not just to their words, but to the things that our kids do not even have words for yet – the troubles of heart and mind. He understands anger at the circumstantial things outside a locus of control or influence which affects many students daily. He empathizes with and for the students and they love him for this. Jason is the embodiment of what we all hope the future of education in Chicago and on the Westside will look like in the years that lie ahead!